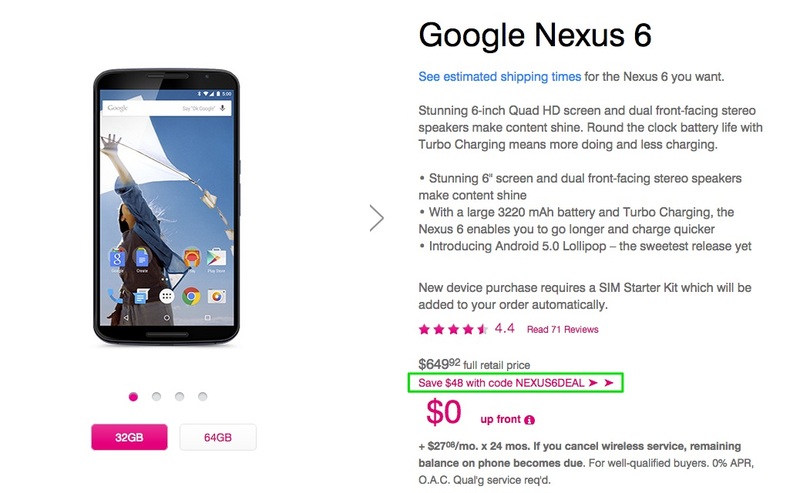 T-Mobile is currently hosting a deal on the Nexus 6 that will slash $48 off the price. The deal is good for both 32GB and 64GB models, so at their $649 and $699 prices, you are looking at $601 and $651, respectively, after the discount. That’s not a bad price for a phone that Google and Motorola still can’t seem to keep in stock. In our Nexus 6 review, we called it the best Nexus ever made. And even though the phone is a whale, consuming media on it is quite enjoyable. In fact, using it in general is a joy, assuming you have two hands free on the regular.